We are having a special Ancient Awakenings Radio Show Today, March 19th. Dratzo! Events are not moving forward as swiftly as planned. We ask you to exert your utmost patience to minimize frustration levels. 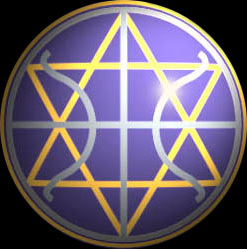 The Galactic Federation's liaisons are working daily to ensure that all unfolds as close to the proper dates as is divinely possible. Heaven assures us that all the steps necessary to bring the RV and the NESARA Republic to fruition are being taken. We are constantly told that a special compensation is in effect that is to very soon permit the arrest and isolation of the dark cabal's minions. We are also nearing a point where Heaven may authorize a premature Landing to make sure that all of Heaven's decrees are faithfully carried out. The degree of delay that is now occurring on your surface world is totally uncalled for. The entire infrastructure required to carry out a number of divine decrees is unusually complex. You may need some type of divine intervention to see that a number of key pronouncements are truly carried out. We are prepared to do so when Heaven decrees. We are to talk to you next week when we deem some wondrous progress is indeed possible. Signing out till then.